Dr. Wright is a medical graduate of McGill University where he also completed his residency in Otolaryngology. He did an additional year of subspecialty training at the University of Pennsylvania with Dr. David Kennedy, the North American pioneer of Endoscopic Sinus Surgery. He practiced for nearly 8 years at the University of Western Ontario in London, ON. He was recruited to the University of Alberta in 2007 to establish the Alberta Sinus Centre. 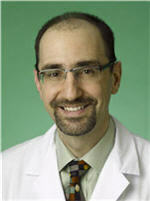 Dr. Wright is a Professor at the University of Alberta and is the Director of the Alberta Sinus Centre. He is a Fellow of the American Rhinologic Society and the American Academy of Otolaryngology-Head & Neck Surgery. He is also an active Fellow of the Triological Society from whom he received the prestigious Harris P. Mosher Award in 2007 for outstanding clinical research. He is on the Executive Council of the Canadian Society of Otolaryngology-Head & Neck Surgery and is the Co-Editor-in-Chief of the Journal of Otolaryngology. He serves on the editorial board of the American Journal of Rhinology. Dr. Wright has served on the Examination Committee/Board for Otolaryngology of the Royal College of Physicians and Surgeons of Canada. He is extensively published with over 40 peer-reviewed journal articles and 5 book chapters. His research interests include outcomes research in rhinosinusitis, endoscopic management of sinonasal tumours, and the study of underlying mechanisms of chronic rhinosinusitis. This fellowship provides our fellow with a broad experience in Rhinology. Emphasis is placed on complex and revision endoscopic sinus surgery as well as the extended applications of endoscopic techniques including minimally invasive approaches to the skull base, management of neoplasms, endoscopic pituitary surgery, and orbital decompression. Academic activities will include clinical or basic science research as well as teaching responsibilities for trainees in otolaryngology.